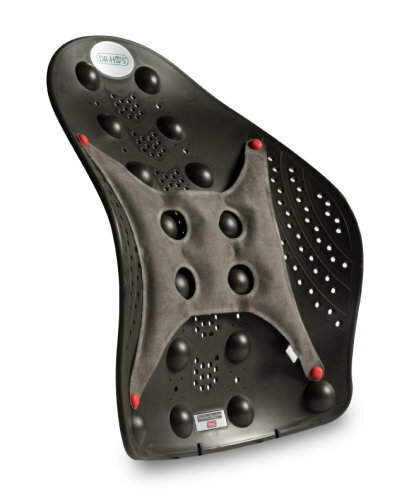 DR-HO'S Perfectback Rest is designed to support the spine’s natural curve for comfort and to promote healthy posture. 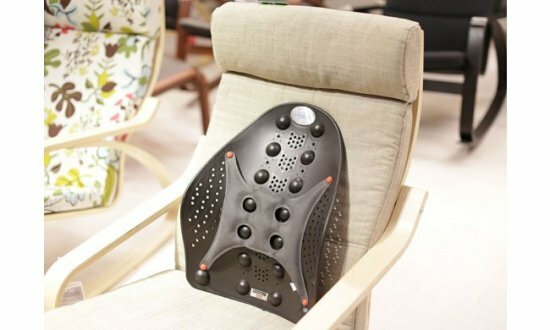 Engineered with 16 pressure point massagers to sooth achy muscles, it makes any chair in the office, car and home a chair with the perfect back. We also recommend using it as a spinal bridge to stretch the spine, and it is good for exercising the core as well. Posture & Support - Designed with the perfect curvature to help improve posture and provide excellent back support. For perfect full-spine support and comfort, put the Perfectback Rest on your car seat and on your chairs at home and in the office. Every chair or seat needs a Perfectback Rest. With the Perfect Back Rest, you can sit tall, breath with ease, smile and feel good. 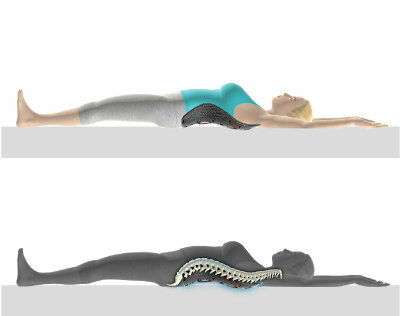 Stretch & Relax - Lie down on the perfectback Rest to help stretch tight muscles and decompress spinal vertebrae. Use it like a spine bridge. Put it on the ground, lie on it, move your arms slowly above your head. Relax your body, breath slowly and feel the stretching and elongation effects on your spine. Use it to stretch your spine for 30 minutes each time, 2 to 3 times a day. Ab Workout - Use the Perfectback Rest to support your lower back while doing sit-ups and core strengthening exercises. 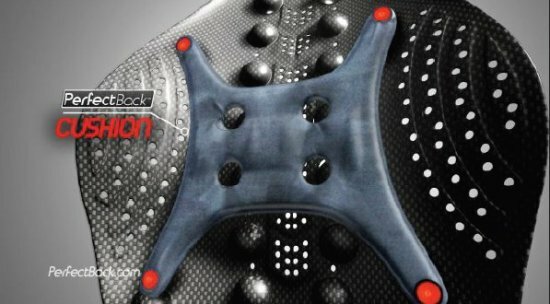 It is engineered to support your lower back in its natural neutral curvature. 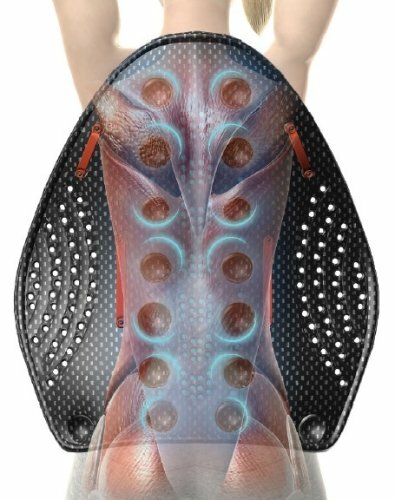 In its natural curvature, the pressure on the spinal discs in your lower back will be more evenly dispersed and is recommended for anyone with back issues.. 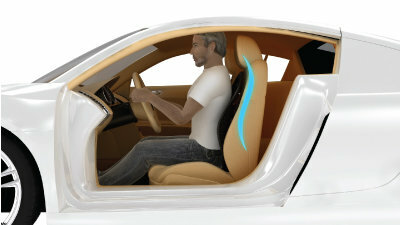 Comfort While Driving - While driving, use the Perfectback Rest to help provide support and reduce fatigue. DR-HO’S Perfect Back Rest comes with a Driver’s Comfort Cushion. This cushion is attachable to the Perfect Back Rest to provide more comfort for drivers and passengers. This cushion can be easily attached and detached by the 4 rubber fasteners. For the perfect back massage, just lean back and slowly rub your back against the Acupressure Massage Nodes. Feel the muscle tension and knots release.